La Romantica – recalls a soap opera, its main characters are ladies and gentlemen. 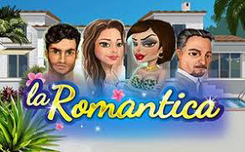 La Romantica – slot with 5 reels, 3 rows and 20 winning lines. As the name suggests, the main characters are ladies and gentlemen, and you will meet them on the drums of the slot. Payments for them range from 100 credits for a combination of 3 cheap icons to 12,500 – for a line of the 5 highest paid. Also there are traditional low paid A, K, Q and J. For them you can get winnings from 15 to 100 credits. In La Romantica there is Wild, replacing all other symbols except Scatter. 4 Will the drum be completely covered by Wild symbols, which will make it possible to obtain winning lines more often. Despite the lack of a separate bonus round, Wild, Scatter and Free Spins guarantee you breathtaking gameplay. 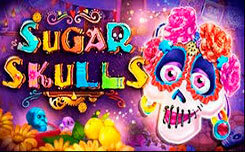 Free spins – activated when a minimum of 3 symbols scatter, you will get ten free spins, with the possibility of renewal.